We are an independent fundamental Baptist church located in Carleton, Michigan. This website is designed to help communicate Carleton Community Baptist Church to you as simple and friendly as possible. Please have a look around. 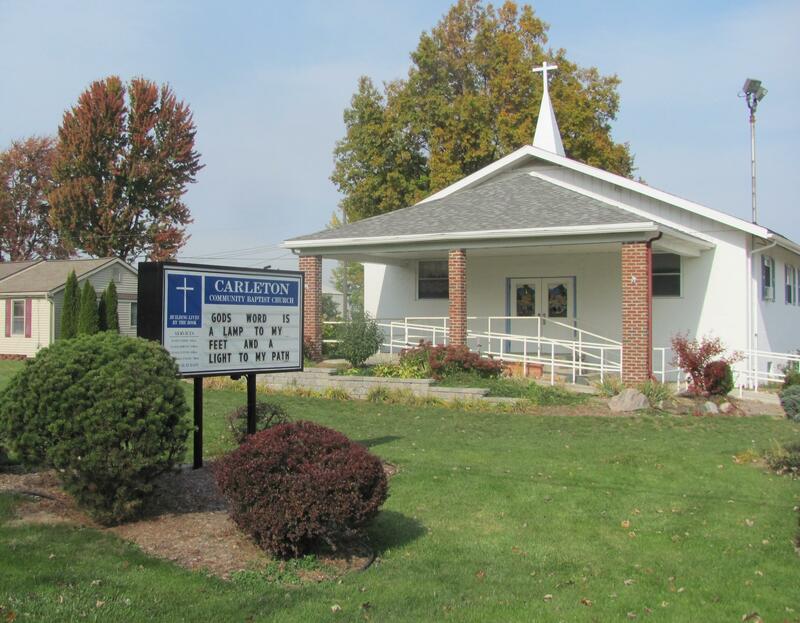 The small village of Carleton, Michigan is a great place to raise your family. We are located next to several major freeways and not far from Detroit, Michigan or Toledo, Ohio. Carleton has much to offer everyone. In addition to Carleton being a great place to live it is where Carleton Community Baptist Church (CCBC) is located. We would love to have you visit our church soon. (Click here for directions).